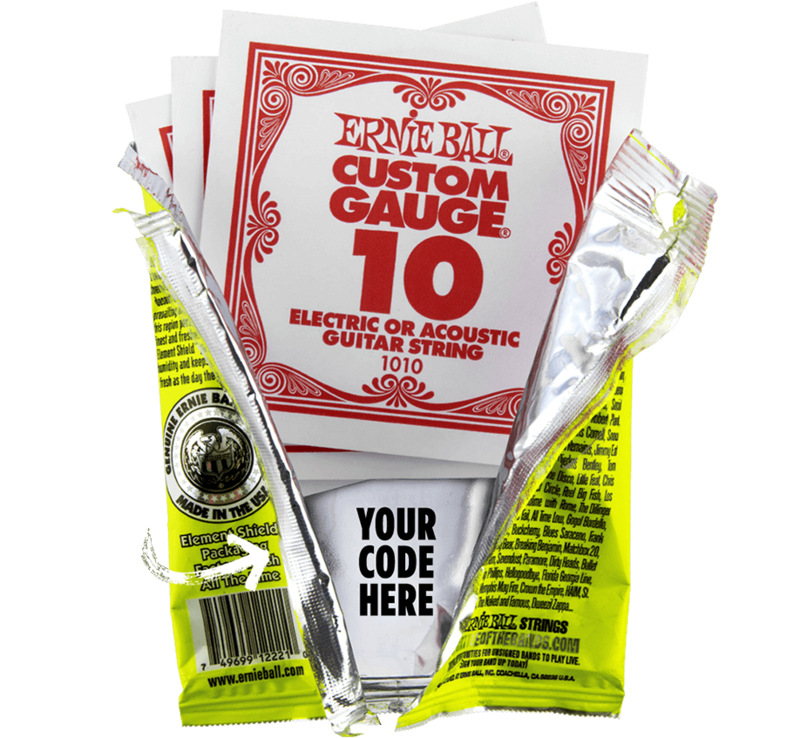 Open packs to find unique Guitar Center Codes printed on the inside front of the foil wrapping. More codes entered means higher chance of winning! 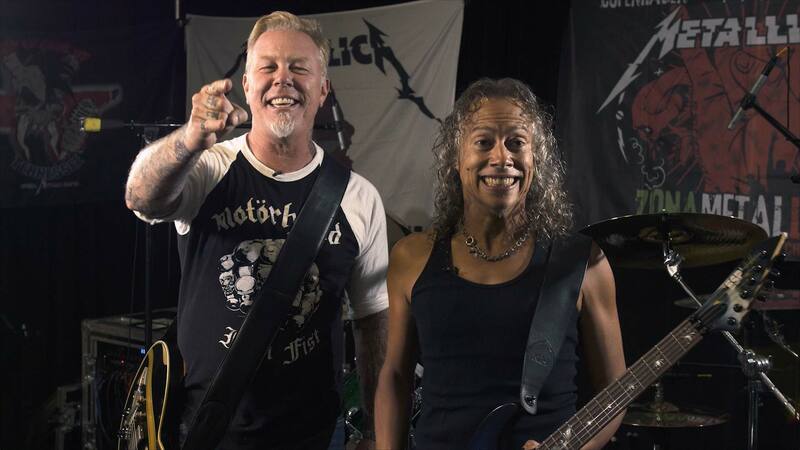 Thanks for participating in the Hetfield + Hammett Experience. The contest is now closed and winners are being selected. To learn more about upcoming events please signup to our Newsletter. By entering your info here, you agree to the full contest rules, viewable here. 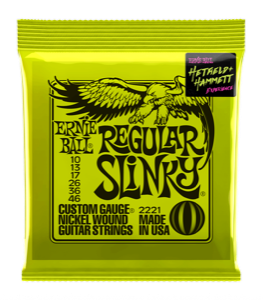 You understand that you are joining the Ernie Ball mailing list, and that you may unsubscribe at any time. You also confirm that you are a U.S. resident over the age of 18. If you are selected as a Grand Prize winner, we will contact you via this address. You can also enter more codes to increase your chances of winning. Since you've already confirmed your email address, you won't need to enter your info again; any new codes will be associated with your email address. Click the button below to add another code. Remember, if you are selected as a Grand Prize winner, we will contact you via this address. Have more codes to enter? Click the button below. 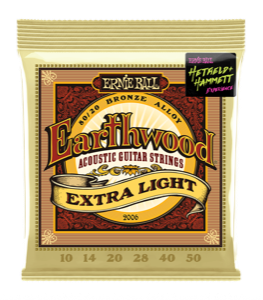 SPONSOR: Ernie Ball, Inc., 4117 Earthwood Lane, San Luis Obispo, CA 93401 ("Sponsor"). 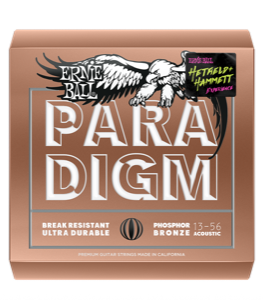 "Sponsor and its agents" shall mean Ernie Ball, Inc., its advertising/promotional and/or fulfillment agencies and their respective parent companies, affiliates, subsidiaries and their respective employees, officers, directors and agents. ELIGIBILITY: This Sweepstakes is open to legal residents of the contiguous 48 United States and the District of Columbia who are 16 years of age or older as of the date of entry. Void in Puerto Rico, Alaska, Hawaii, U.S. territories and possessions and wherever prohibited or restricted by law. Subject to all applicable federal, state and local laws. The Sweepstakes, and any web site pages and advertisements or promotional materials relating thereto, are intended for viewing only within the United States. You are not authorized to participate in the Sweepstakes if you are not physically located within the United States at the time of entry. 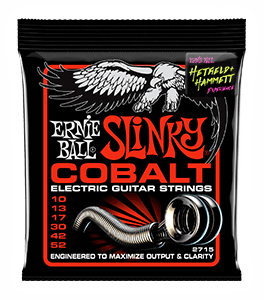 Officers, Directors, employees and agents of Ernie Ball, Inc. Vans and each of their respective parent companies, affiliates, subsidiaries, divisions, and advertising and promotional agencies and their respective officers, directors and agents (collectively, the "Sweepstakes Entities") and the immediate family members and persons living in the same household of each are not eligible. HOW TO ENTER: This Sweepstakes begins at 12:01 a.m. (Pacific Time ["PT"]) on September 7, 2017, and ends at 11:59 p.m. (PT) on October 31, 2017 ("Sweepstakes Period"). 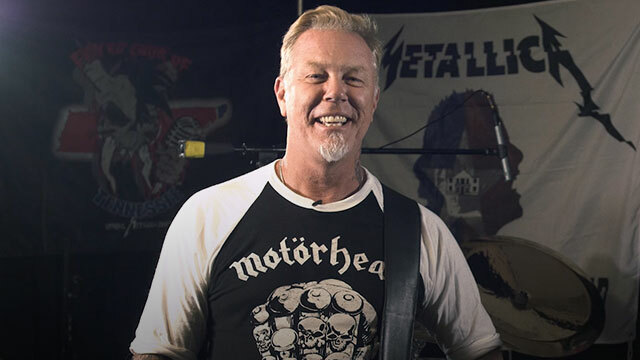 You may enter the Sweepstakes only via online entry: Go to https://www.ernieball.com/metallica and completely fill out the online entry form and submit it in accordance with the onscreen directions during the Sweepstakes Period Online entries must be received by 11:59 p.m. on October 31, 2017. If more than one entry is submitted, only the first such entry submitted will be accepted. Any attempt by a participant to obtain more than one entry by using multiple/different email addresses, identities or any other methods will void all of that participant's entries. No mechanically reproduced entries permitted. Sponsor will not verify receipt of entries. All entries submitted become the sole property of Sponsor and will not be returned. By entering, Entrants agree to comply with these Official Rules and represent that they meet all eligibility requirements. Illegible and/or incomplete entries and entries submitted by entrants who do not meet the eligibility requirements (including all requirements with respect to age and residence) are void. Sponsor and its agents are not responsible for lost, late, or misdirected entries, for technical, hardware or software failures of any kind, for lost or unavailable network connections, or for failed, incomplete, garbled or delayed computer transmissions or any human error which may occur in the receipt or processing of the entries. Proof of entering information at website does not constitute proof of delivery or receipt. Use of computer programs, macro, programmed, robotic, automatic and other similar means to enter the Sweepstakes is prohibited and may result in the disqualification of the entrant. In the event of a dispute regarding the identity of the person submitting an online entry, the entry will be deemed to be submitted by the person in whose name the email account is registered on the date the entry is submitted. POTENTIAL WINNER SELECTION AND NOTIFICATION: Potential winner will be selected in a random drawing on or about November 15, 2017 by Sponsor or its designee, the judge of the Sweepstakes, whose decisions are final and binding on all matters relating to the Sweepstakes ("Potential Winner"). Potential Winner will be notified by telephone, U.S. mail, and/or email using the contact information provided at the time of entry ("Prize Notification") and must respond to the Prize Notification within seven (7) calendar days from the first notification attempt (the "Deadline"). Such response shall include the providing and/or confirming of his/her full name and a mailing address ("Mailing Information"), where Sponsor can send an Affidavit of Eligibility and Liability/Publicity Release (collectively, the "Sweepstakes Documents"). The mailing address must be a street address (no P.O. Boxes). If a Potential Winner does not provide the Mailing Information in response to the Prize Notification by the Deadline, he/she will be disqualified and an alternate Potential Winner will be selected from all eligible entries received for the drawing. Sponsor will attempt to award the prize to alternate winners following the same procedure. Once Sponsor receives a Potential Winner's Mailing Information, a set of Sweepstakes Documents will be sent to him/her via overnight mail or email. Each Potential Winner must sign and return the Sweepstakes Documents within seven (7) of the date of receipt or he/she will forfeit the Prize and an alternate Potential Winner will be selected, per the procedure described above. Provided that the Potential Winner has complied with these Official Rules and meets all of the eligibility requirements set forth herein, following Sponsor's receipt of the signed Sweepstakes Documents, Sponsor shall declare the Potential Winner the winner ("Winner"). Return of any Prize Notification or Sweepstakes Documents as undeliverable will result in disqualification, and an alternate Potential Winner will be selected from all eligible entries received for the original drawing. Sponsor shall repeat the winner selection and notification procedures set forth in this Section until a qualified Winner has been selected and the Prize has been awarded. 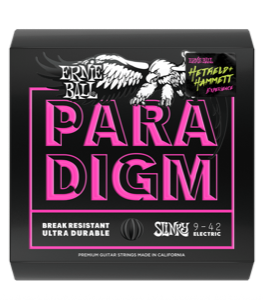 PRIZE AND ODDS OF WINNING: TWO (2) GRAND PRIZES: A choice of one (1) of the ESP guitars outlined below (the Guitars) (ARV: $1,099), and an Ernie Ball Prize Pack consisting of: one (1) MVP Volume Pedal (ARV:$154.99), a year’s supply of Paradigm strings (12 sets) (ARV: $179.99), a Polylock strap (ARV: $24.99), 100 Metallica Experience picks (ARV: $49.99), an Ernie Ball Hat (ARV: $19.99), a set of Ernie Ball Slinky Coasters (ARV: $12.99), a set of Ernie Ball Pint Glasses (Set of 4) (ARV: $24.99). Total Approximate Retail Value ("ARV") of Grand Prize: $1,566.93. PRIZE CONDITIONS: No cash redemption or prize substitution allowed, except by the Sponsor, who reserves the right in its sole discretion to substitute cash value or another prize it believes is of equal or greater value. Prize is nontransferable. The Prize is awarded "AS IS" and without WARRANTY OF ANY KIND, express or implied (including without limitation, any implied warranty of merchantability or fitness for a particular purpose). TAXES AND COSTS RELATED TO THE PRIZES: All applicable taxes, including all federal, state, local and other taxes and any license, destination and delivery charges are the sole responsibility of Winner. Winner is advised to seek counsel regarding tax liabilities associated with the Prize. Winner may be issued a 1099 tax form for the ARV of the Prize. INTERNET: If for any reason the Sweepstakes is not capable of running as planned, including infection due to computer virus, bugs, tampering, unauthorized intervention, fraud, technical failure, human error or any other causes beyond the control of Sponsor that corrupt or affect the administration, security, fairness, integrity, or proper conduct of the Sweepstakes, Sponsor reserves the right to disqualify any individual it finds who tampers with the entry process, operation of the Sweepstakes or web site, and to cancel, terminate, modify, or suspend the online portion of the Sweepstakes without notice and to select the winner from all eligible entries received prior to the cancellation or termination, plus entries received from all other methods of entry. Sponsor assumes no responsibility for any error, omission, interruption, deletion, defect or delay in operation or transmission, communications line failure, problems or technical malfunctions of any computer online systems, servers, or providers, computer equipment, software, failure of any email or entry to be received by Sponsor on account of human error, technical problems or traffic congestion on the Internet or at any Web site, theft or destruction, or unauthorized access to, or tampering with or hacking of website, any combination thereof, or otherwise, including any injury or damage to any entrant's or any other person's computer related to or resulting from participation in the Sweepstakes. DISPUTES: Each entrant agrees that (1) any and all disputes, claims, and causes of action arising out of or in connection with this Sweepstakes, or any prizes awarded, shall be resolved individually, without resort to any form of class action, and any judicial proceeding shall take place in a federal or state court in Los Angeles County, California; (2) any and all claims, judgments, and awards shall be limited to actual outofpocket costs incurred, including costs associated with entering this Sweepstakes, but in no event attorneys fees and (3) under no circumstances will entrant be permitted to obtain awards for, and entrant hereby waives all rights to claim punitive, incidental, and consequential damages, and any other damages, other than for actual outofpocket expenses, and any and all rights to have damages multiplied or otherwise increased. All issues and questions concerning the construction, validity, interpretation and enforceability of these Official Rules, or the rights and obligations of entrant and the Sponsor in connection with this Sweepstakes shall be governed by, and construed in accordance with the laws of the State of California, without giving effect to any choice of law or conflict of law rules or provisions (whether of the State of California or any other jurisdiction), that would cause the application of the laws of any jurisdiction other than those of the State of California. 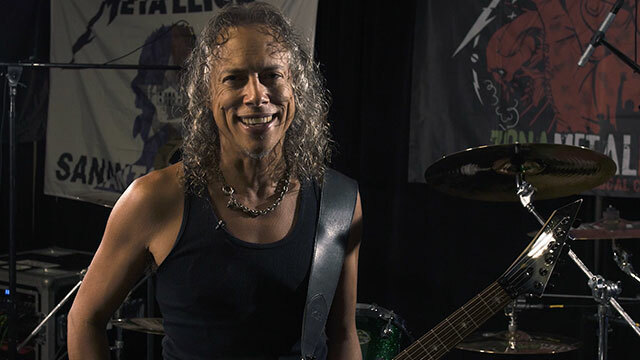 WINNER'S LIST: For a winners list, send a self addressed stamped envelope to: "Hetfield + Hammett Fan Sweepstakes", Winner's List, c/o Ernie Ball, Inc., 4117 Earthwood Lane, San Luis Obispo, CA 93401, to be received no later than March 31, 2018. TM and © 2017. 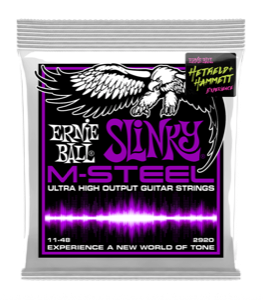 Ernie Ball, Inc. All rights reserved. 1. 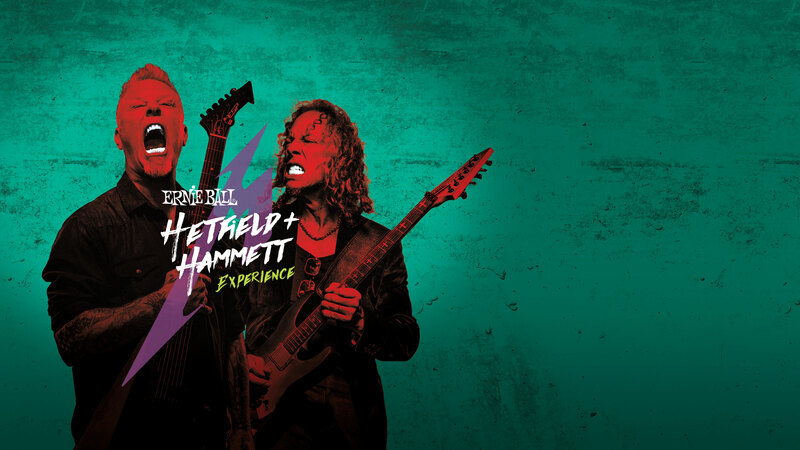 Eligibility: The Hetfield + Hammett Experience (the "Promotion") is open only to legal residents of the fifty (50) United States (including District of Columbia) who are at least the age of majority in their state of residence (eighteen (18) in most states; nineteen (19) in Nebraska and Arkansas and twentyone (21) in Mississippi) at the time of entry. 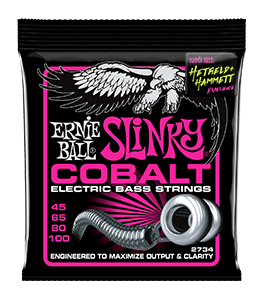 Employees of Ernie Ball, Inc., HelloWorld, Inc., and their parent and affiliate companies, suppliers as well as their family and household members are not eligible. 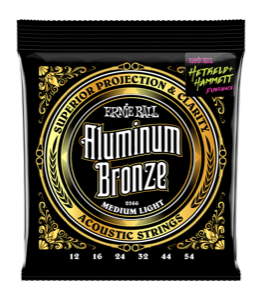 The Promotion is subject to all applicable federal, state, and local laws and regulations and is void where prohibited. Participation constitutes entrant's full and unconditional agreement to these Official Rules and Sponsor's and Administrator's decisions, which are final and binding in all matters related to the Sweepstakes. Winning a prize is contingent upon fulfilling all requirements set forth herein. The Promotion consists of a Sweepstakes (the "Sweepstakes") and an instant win game (the "Instant Win Game"). 2. 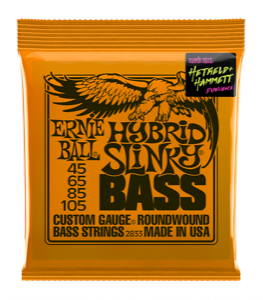 Sponsor: Ernie Ball, Inc., 53973 Polk Avenue, Coachella, CA 92236. 3. Timing: The Promotion begins on September 7, 2017 at 12:00 a.m. Eastern Time ("ET") and ends on October 31, 2017 at 11:59 p.m. ET (the "Promotion Period"). Sponsor's computer is the official timekeeping device for this Promotion. 4. How to Enter: There are two (2) ways to enter. Included in each Qualifying Product is a unique code printed on the packaging. 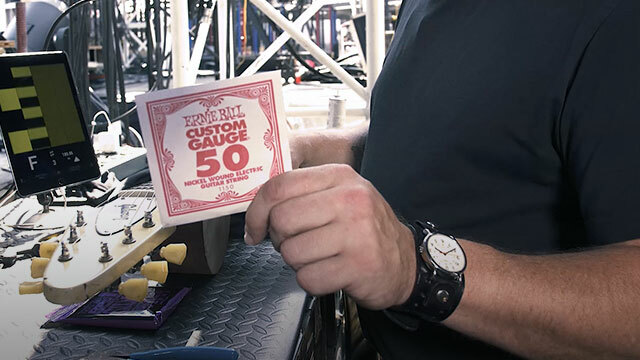 Visit ernieball.com/metallica and follow the onscreen prompts to enter your code for a chance to win a prize. b. Free Mail-in Alternate Method: To enter the Sweepstakes and receive a unique code so that you may play the game without making a purchase, hand print your name, valid email address and valid mailing address, day and evening phone numbers, and birth date on a 3" x 5" piece of paper and mail it with proper postage to "The Hetfield + Hammett Experience", c/o Ernie Ball Inc., P.O. Box 4117, San Luis Obispo, CA 93403. All envelopes must be postmarked by October 31, 2017 and received by November 7, 2017. You may only make one (1) request per envelope. Proof of sending or submission will not be deemed to be proof of receipt by Sponsor. Sponsor is not responsible for lost, late, incomplete, invalid, unintelligible, illegible, misdirected or postagedue entries, which will be disqualified. By mailing in your request, you will receive one (1) entry into the Sweepstakes. Sponsor will email you one (1) unique code for each eligible request that is timely received. Visit the promotional website and follow instructions above in Section (a) to enter the unique code..
Limit: Entrants may enter the Sweepstakes twenty (20) time during the Promotion Period by any combination of entry methods. Any attempt by any entrant to obtain more than the stated number of plays by using multiple/different email addresses, identities, registrations and logins, or any other methods will void that participant's plays and that participant may be disqualified. Use of any automated system to participate is prohibited and will result in disqualification. Sponsor is not responsible for lost, late, incomplete, invalid, unintelligible or misdirected registrations, which will be disqualified. In the event of a dispute as to any registration or play, the authorized account holder of the email address used to register will be deemed to be the registrant or player. The "authorized account holder" is the natural person assigned an email address by an Internet access provider, online service provider, Internet service provider or other organization responsible for assigning email addresses for the domain associated with the submitted address. Potential winners may be required to show proof of being the authorized account holder. Sweepstakes: Administrator, an independent judging organization, whose decisions as to the administration and operation of the Sweepstakes and the selection of the potential winner are final and binding in all matters related to the Promotion, will randomly select the potential Sweepstakes winner from all eligible entries received on or around November 15, 2017. Alternate potential winners will be selected at random at the same time as the potential winners and may be contacted (in order of selection) if the potential winner fails to comply with any of the requirements set forth herein in a timely manner or if a potential winner cannot be contacted. 6. Winner Requirements: Receiving a prize is contingent upon fulfilling all requirements. The potential Sweepstakes winners will be notified by email or telephone on or after November 15, 2017. The potential Sweepstakes winner will be required to sign and return a Declaration of Compliance, Liability and Publicity Release (except where prohibited), which must be received by Administrator within five (5) days of the date notice or attempted notice is sent, in order to claim his/her prize. If a potential Sweepstakes winner cannot be contacted, or fails to sign and return the Declaration of Compliance, Liability and Publicity Release within the required time period, the potential winner forfeits his/her prize. In the event that such potential winner is disqualified for any reason, Sponsor will award the applicable prize to an alternate winner by random drawing from among all remaining eligible entries. There will be three (3) attempts to award the applicable prize to an alternate winner after which the applicable prize will remain unawarded. 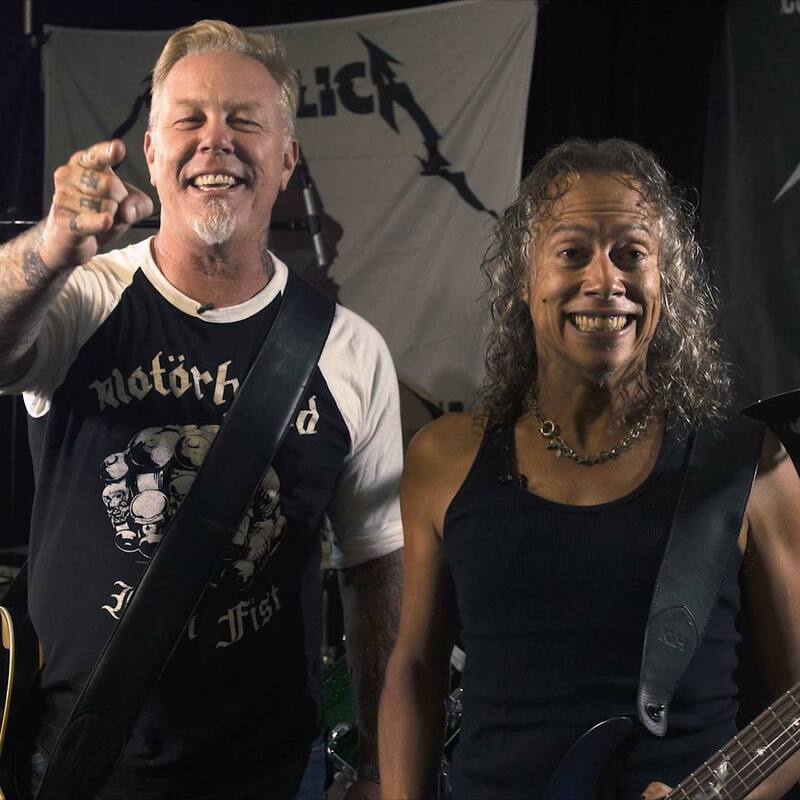 THREE (3) GRAND PRIZES: Trip for winner only to California to meet James Hetfield and Kirk Hammett of Metallica (the Band) (ARV: $1,000) a choice of one (1) of the ESP guitars outlined below (the Guitars) (ARV: $1,099), and an Ernie Ball Prize Pack consisting of: one (1) MVP Volume Pedal (ARV:$154.99), a box of Paradigm strings (12 sets) (ARV: $179.99), a Polylock strap (ARV: $24.99), 100 Hetfield + Hammett Experience picks (ARV: $49.99), an Ernie Ball Hat (ARV: $19.99), a set of Ernie Ball Slinky Coasters (ARV: $12.99), a set of Ernie Ball Pint Glasses (Set of 4) (ARV: $24.99). Trip package includes roundtrip, coachclass air transportation for the winner from a major airport near winner's home (determined by Sponsor in its sole discretion) to San Francisco, CA; two (2) nights' accommodations at a hotel determined by Sponsor in its sole discretion (single room, single occupancy); and a meet and greet with the Band. The trip is tentatively scheduled for February 2018. Winner must travel on the dates determined by Sponsor in its sole discretion or prize will be forfeited. Travel and accommodations are subject to availability. Travel must be roundtrip. Sponsor will determine airline and flight itinerary in its sole discretion. No refund or compensation will be made in the event of the cancellation or delay of any flight. Travel is subject to the terms and conditions set forth in this Promotion, and those set forth by the Sponsor's airline carrier of choice as detailed in the passenger ticket contract. All expenses and incidental travel costs not expressly stated in the package description above, including but not limited to, ground transportation, meals, incidentals, passenger tariffs or duties, airline fees, surcharges, airport fees, service charges or facility charges, personal charges at lodging, security fees, taxes or other expenses are the responsibility solely of winner. Travel restrictions, conditions and limitations may apply. If in the judgment of Sponsor air travel is not required due to winner's proximity to prize location, ground transportation will be substituted for roundtrip air travel at Sponsor's sole discretion. 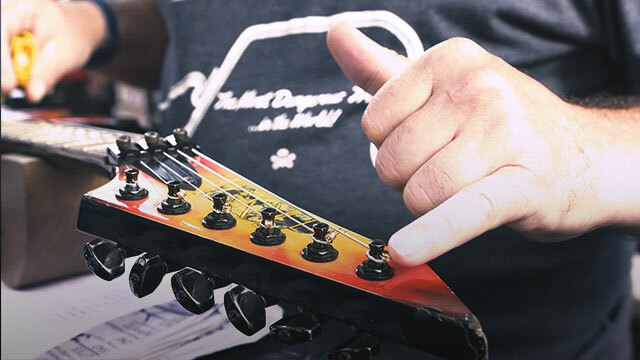 Sponsor is not responsible if meeting with the Band is delayed, postponed or cancelled for any reason, in which event that portion of prize is forfeited in its entirety and no substitution will be provided except as in Sponsor's sole discretion. Total Approximate Retail Value ("ARV") of Grand Prize: $2,566.93. Actual value may vary based on airfare fluctuations and distance between departure and destination. Any difference in ARV and actual value will not be awarded to the Grand Prize Winner. Grand Prize Winner and travel companion are responsible for obtaining travel insurance (and all other forms of insurance) if applicable and at their option and hereby acknowledge that the Sponsor has not and will not obtain or provide travel insurance or any other form of insurance. Grand Prize cannot be transferred, substituted, or redeemed for cash except at Sponsor's sole discretion. Sponsor reserves the right to substitute the Grand Prize, or portions thereof, with a prize of equal or greater value. Odds of winning a Sweepstakes prize depends on the number of eligible entries received during the Promotion Period. For All Prizes: No cash equivalent and all prizes are nontransferable and no substitution will be made except as provided herein at the Sponsor's sole discretion. Sponsor reserves the right to substitute any listed prize for one of equal or greater value (subject to applicable legal or regulatory limitations) if the designated prize should become unavailable for any reason. Winner is responsible for all taxes and fees associated with prize receipt and/or use. TOTAL ARV OF ALL PRIZES: $17,059.39. 9. 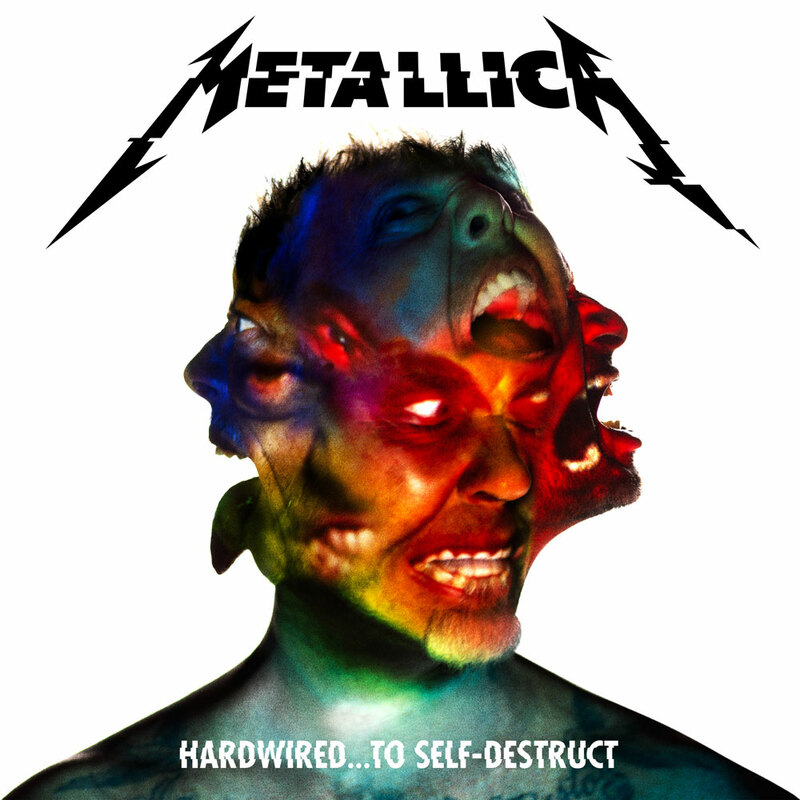 Release: By participating, all entrant(s) agree, and by acceptance of or receipt of any prize winner(s) agree to release and hold harmless Sponsor, Guitar Center, Inc., Administrator together with each of their parent companies, and each such owners, directors, employees, officers, licensees, licensors and agents, and respective advertising and promotion entities and any person or entity associated with the production, or administration of the Promotion, (collectively, the "Released Parties") from and against any and all rights, claims and causes of action whatsoever that they may have, or which may arise, against any of them for any liability for any matter, cause or thing whatsoever, including but not limited to any injury, loss, damage, whether direct, compensatory, incidental or consequential, to person, including death and damage to property, arising in whole or in part, directly or indirectly, from their acceptance, possession, use or misuse of the prize in the Promotion, or their participation in the Promotion, or their participation in any Promotion or prize related activity, except where prohibited by law. You further understand and agree that all rights under Section 1542 of the Civil Code of California ("Section 1542") and any similar law of any state or territory of the United States that may be applicable with respect to the foregoing release are hereby expressly and forever waived. You acknowledge that Section 1542 provides that: "A GENERAL RELEASE DOES NOT EXTEND TO CLAIMS WHICH THE CREDITOR DOES NOT KNOW OR SUSPECT TO EXIST IN HIS OR HER FAVOR AT THE TIME OF EXECUTING THE RELEASE, WHICH, IF KNOWN BY HIM OR HER MUST HAVE MATERIALLY AFFECTED HIS OR HER SETTLEMENT WITH THE DEBTOR." The releases hereunder are intended to apply to all claims not known or suspected to exist with the intent of waiving the effect of laws requiring the intent to release future unknown claims. Each potential winner acknowledges that Released Parties have neither made, nor are in any manner responsible or liable for, any warranty, representation or guarantee, expressed or implied, in fact or in law, relative to any prize or the Promotion. Apart from manufacturer warranties (which may not be available in all geographies), all warranties are hereby disclaimed, and each potential winner will accept any prize "AS IS." No support services are provided with any prize. 10. Publicity: Except where prohibited, participation in the Promotion constitutes winners consent to Sponsor's use of winner's name and country of residence for promotional purposes in any media, worldwide, without further payment or consideration. 11. General Conditions: Sponsor reserves the right to cancel, suspend and/or modify the Promotion, or any part of it, if any fraud, technical failures or any other factor beyond Sponsor's reasonable control impairs the integrity or proper functioning of the Sweepstakes or Instant Win Game, as determined by Sponsor in its sole discretion. Sponsor reserves the right in its sole discretion to disqualify any individual it finds to be tampering with the entry process or the operation of the Sweepstakes or Instant Win Game or to be acting in violation of these Official Rules or in an unsportsmanlike or disruptive manner. Any attempt by any person to deliberately undermine the legitimate operation of the Sweepstakes or the Instant Win Game may be a violation of criminal and civil law, and, should such an attempt be made, Sponsor reserves the right to seek damages from any such person to the fullest extent permitted by law. This Promotion is void where prohibited or restricted by law, and is subject to applicable federal, state, local, and national laws. This Promotion is subject to these Official Rules. By participating, entrants agree: (i) to be bound by these Official Rules and the decisions of the Sponsor and Administrator, which shall be final and binding; and (ii) to waive any right to claim ambiguity in the Promotion or these Official Rules, except where prohibited by law. Sponsor's failure to enforce any term of these Official Rules shall not constitute a waiver of that provision. 12. Limitations of Liability: In addition to and cumulative of the matters released in Section 9 hereinabove, the Sponsor and Administrator and Released parties are not responsible for: (1) any incorrect or inaccurate information, whether caused by entrants, printing errors or by any of the equipment or programming associated with or utilized in the Promotion; (2) technical failures of any kind, including, but not limited to malfunctions, interruptions, or disconnections in phone lines or network hardware or software; (3) unauthorized human intervention in any part of the entry process or the Promotion; (4) technical or human error which may occur in the administration of the Promotion or the processing of entries; or (5) any injury or damage to property which may be caused, directly or indirectly, in whole or in part, from entrant's participation in the Promotion or receipt or use or misuse of any prize (other than as a direct result of the Sponsor's negligence). If for any reason an entrant's entry is confirmed to have been erroneously deleted, lost, or otherwise destroyed or corrupted, entrant's sole remedy is another entry in the Sweepstakes or Instant Win Game play, if it is possible. No more than the stated number of prizes will be awarded. In the event that production, technical, seeding, programming or any other reasons cause more than the stated number of prizes as set forth in these Official Rules to be available and/or claimed Sponsor reserves the right to award only the stated number of prizes by a random drawing among all legitimate, unawarded, eligible prize claims. 13. Disputes: Except where prohibited, entrant agrees that: (1) any and all disputes, claims and causes of action arising out of or connected with this Promotion or any prize awarded shall be resolved individually, without resort to any form of class action, and exclusively by the United States District Court for the Eastern District of Michigan (Southern Division) or the appropriate Michigan State Court located in Oakland County, Michigan; (2) any and all claims, judgments and awards shall be limited to actual outofpocket costs incurred, including costs associated with entering this Promotion, but in no event attorneys' fees; and (3) under no circumstances will entrant be permitted to obtain awards for, and entrant hereby waives all rights to claim, indirect, punitive, incidental and consequential damages and any other damages, other than for actual outofpocket expenses, and any and all rights to have damages multiplied or otherwise increased. All issues and questions concerning the construction, validity, interpretation and enforceability of these Official Rules, or the rights and obligations of the entrant and Sponsor in connection with the Promotion, shall be governed by, and construed in accordance with, the laws of the State of Michigan, without giving effect to any choice of law or conflict of law rules (whether of the State of Michigan or any other jurisdiction), which would cause the application of the laws of any jurisdiction other than the State of Michigan. 15. 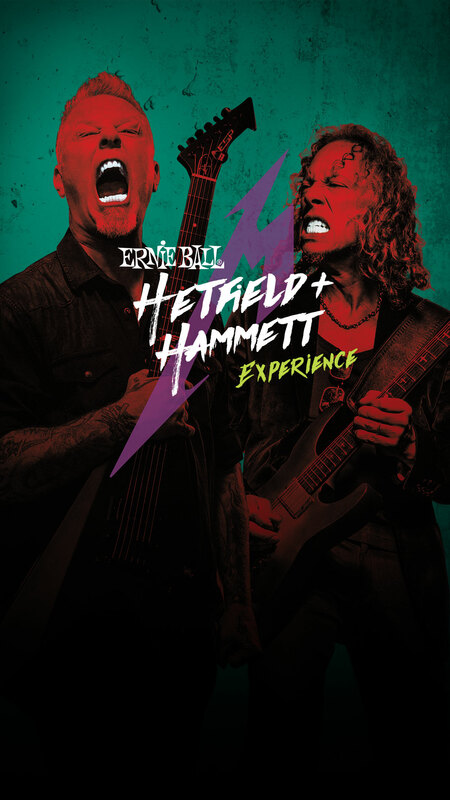 Promotion Results: For a winners list, send a self-addressed stamped envelope to: "The Hetfield + Hammett Experience", Winner's List, c/o Ernie Ball, Inc., 4117 Earthwood Lane, San Luis Obispo, CA 93401, to be received no later than March 31, 2018. 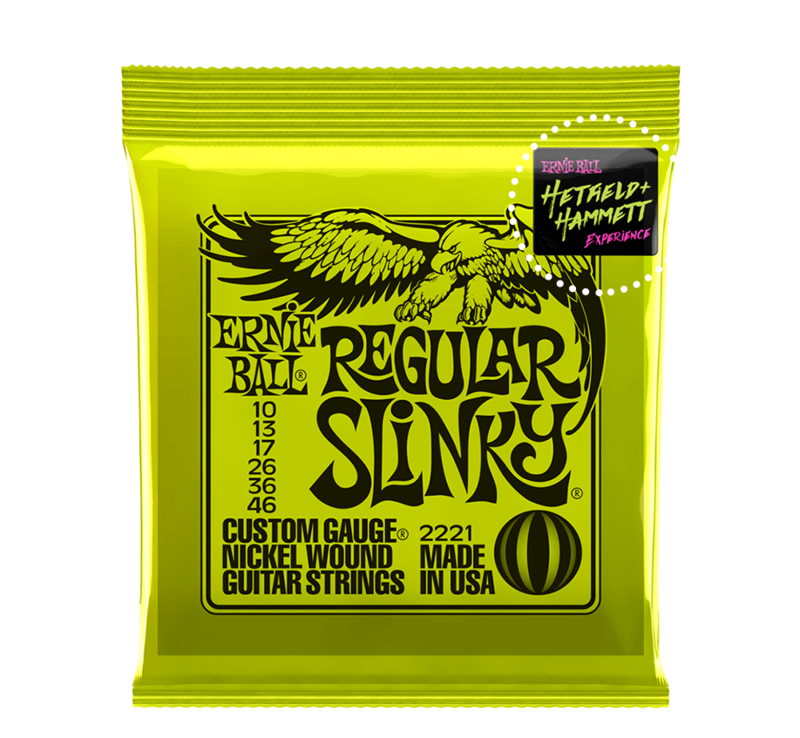 © 2017 Ernie Ball, Inc. All Rights Reserved.